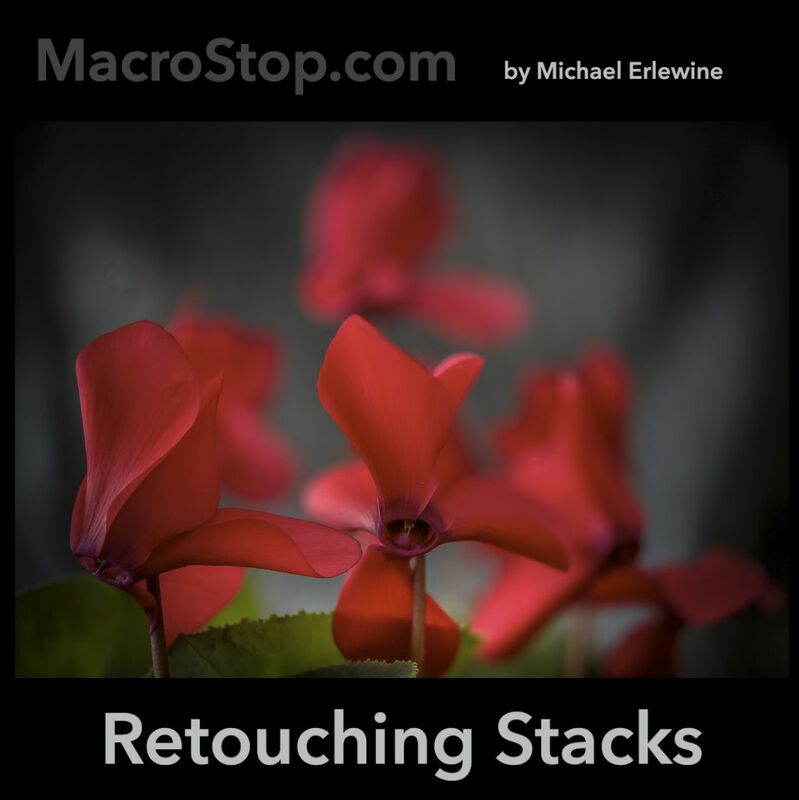 Most, if not all, stacked photos require retouching for the simple reason that focus stacking is a sampling method, much like CDs and DVDs. Sampling, by definition is lossy in that some data is sampled and the rest is left out. This is particularly true when it comes to focus stacking digital images. If you want a perfect image, just stick with the traditional one-shot photos and don’t bother with focus-stacking. Of course, traditional one-shot photography has problems of its own, like you have one focus plane and one point that draws the eye, leaving the rest to be less in focus. With a stacked image, there is no reason to have any particular point of view other than one you choose or, equally, there can be several areas of prime focus in a stacked image. I am not trying to sell you on stacked images, but just pointing out that focus-stacking has its merits, and not just liabilities, such as the various artifacts that can appear due to the fact that sampled images are lossy, by definition. This article is aimed at helping to cut the losses in sampling that stacked photos provide by their very nature.